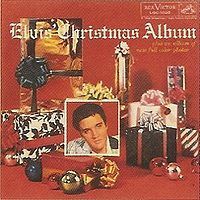 Elvis' Christmas Album is the fourth album by Elvis Presley on RCA Victor Records, LPM 1951, released in October 1957, and recorded at Radio Recorders in Hollywood. It has been reissued in numerous different formats since its first release, issued initially in a deluxe limited edition, catalogue LOC 1035. 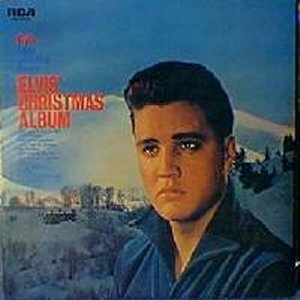 It spent four weeks at #1 on the Billboard Top Pop Albums chart, and was the first of two Christmas-themed albums Presley would record, the other being Elvis Sings The Wonderful World of Christmas, released in the early 1970s. As of 2007, Elvis' Christmas Album is the top-selling holiday release of all time with 9 million in sales, according to the RIAA. The Bing Crosby holiday perennial "White Christmas," which appeared every year on the Billboard charts from 1942 to 1962, became the center of controversy upon the album's release, with calls by the song's composer Irving Berlin to have the song, and the entire album, banned from radio airplay. After hearing Presley's version of his song, which Berlin saw as a "profane parody of his cherished yuletide standard", he ordered his staff in New York to telephone radio stations across the US, demanding the song be discontinued from radio play. While most US radio stations ignored Berlin's request, at least one disc jockey was fired for playing a song from the album, and most Canadian stations refused to play the album.